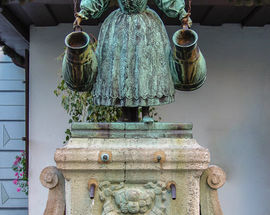 This small statue of a traditionally-dressed Bamber peasant girl carrying jugs used in wine-making stands beside the historical Municipal Scales building. 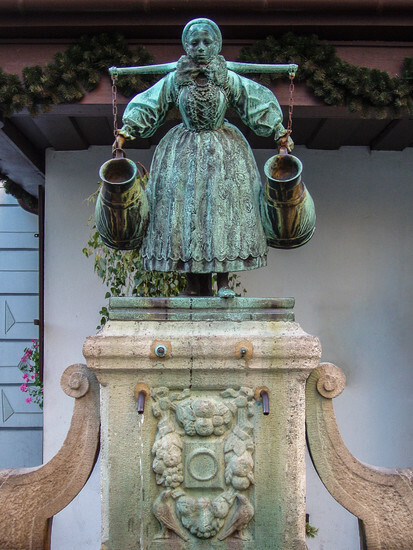 Created by sculptor Joseph Wackerle, who would later become Reich Culture Senator and Hitler's favourite artist, Bamberka was unveiled in 1915 and originally stood over a well providing drinking water for horses. 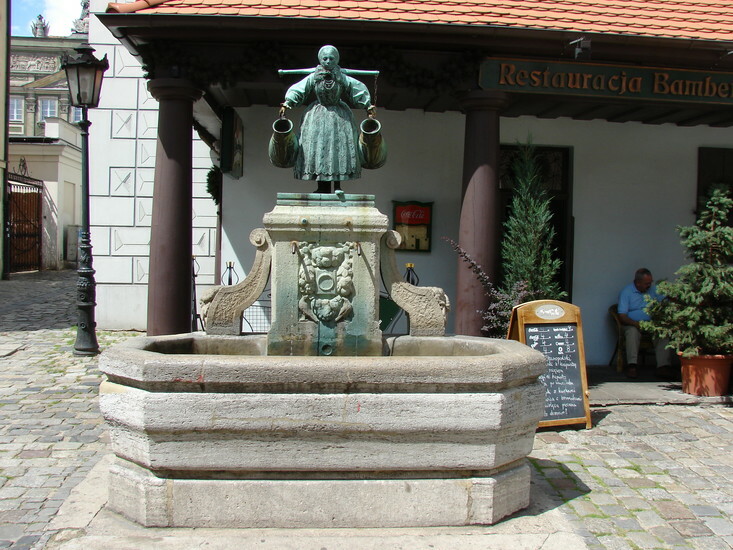 This iconic monument commemorates the Bambers, poor Catholic farmers from Bavaria (today south-east Germany), who came to the Poznań area in the hundreds in the early 18th century at the invitation of the city authorities to help rebuild villages devastated by war and plague. 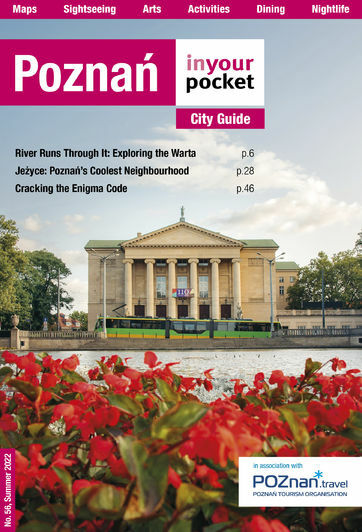 Known for the elaborate folk dresses worn by women, this ethnic group quickly integrated into Polish society, learning the language, identifying themselves as Polish and fighting for Polish national causes. 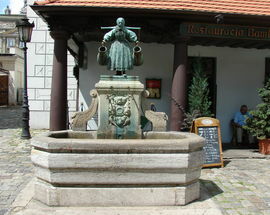 An important contributor to Poznań's history and culture, to find out more about this unique ethnic group, visit the Poznań Bamber Museum (ul. Mostowa 7/9).